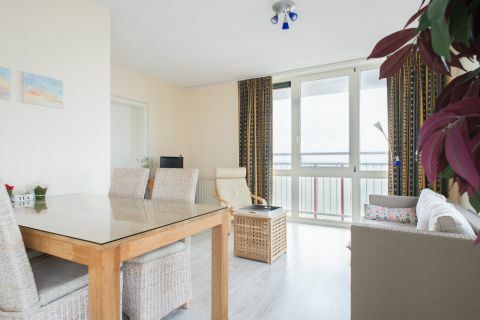 From all living areas and large south-facing roof terrace this apartment offers a panoramic view over the sea, the Westerschelde and the polders. To make your stay in comfort, there is a large bedroom with 2-person bed (2x90cm), a fully equipped kitchen, a bathroom with bath/shower combination and a separate toilet. Under the building, you have the exclusive use of a lockable garage to store bikes. For a short or longer holiday, it's the place to be in all seasons ! Reservation from 3 to 10 nights. Arrival on Monday, Friday or Saturday.